Russell Westbrook’s Oklahoma City Thunder fell 2-0 behind in their series. 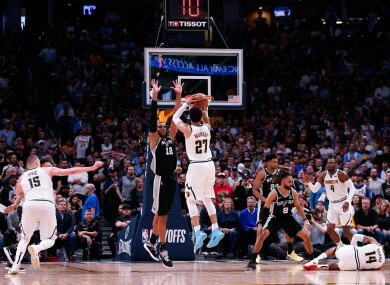 Jamal Murray attempts a shot over San Antonio Spurs center LaMarcus Aldridge. Email “Nuggets star leads incredible fourth quarter fightback, while Kawhi drops 37 in Raptors rout”. Feedback on “Nuggets star leads incredible fourth quarter fightback, while Kawhi drops 37 in Raptors rout”.